Stats can help us see patterns and get a better picture of how we are doing. 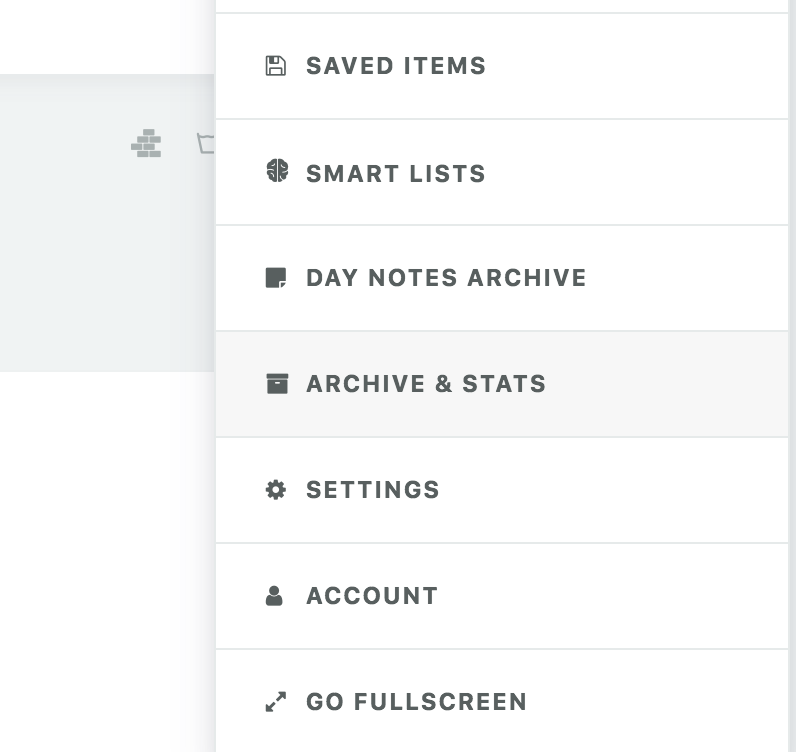 To see stats on the tasks you have completed in the past, go to the menu at the top right and select "Archive & Stats"
Then click "S" on your keyboard or select the stats page on the top left. 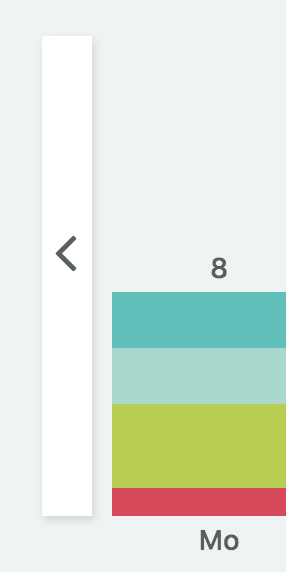 The default bar graph shows you how many tasks you got done each day this week (total task count at the top of each column). The colors are taken over from your main categories. 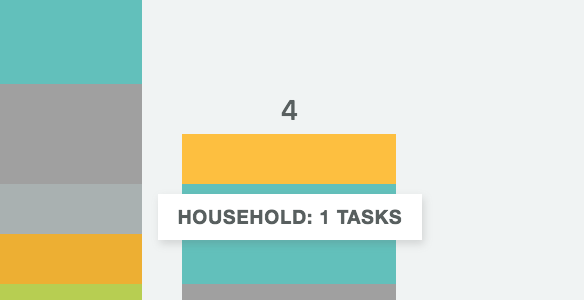 You can hover over the individual parts of the column to see how many tasks per category you completed that day. 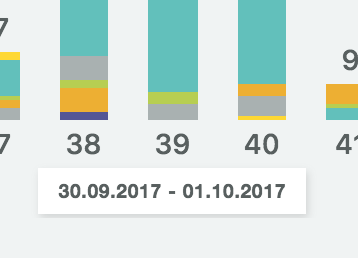 You can navigate to previous weeks by hovering over the graph to reveal the left arrow button. You can also see a summary of each week by selecting the "Weeks" option. Hovering over the numbers at the bottom shows you the exact date.